Shipped right from the Hack Shack, these stickers are a great way to add speed to your bicycle, helmet, or phone case. Just put these stickers anywhere to show you support for Seth’s Bike Hacks. All orders ship free, anywhere. 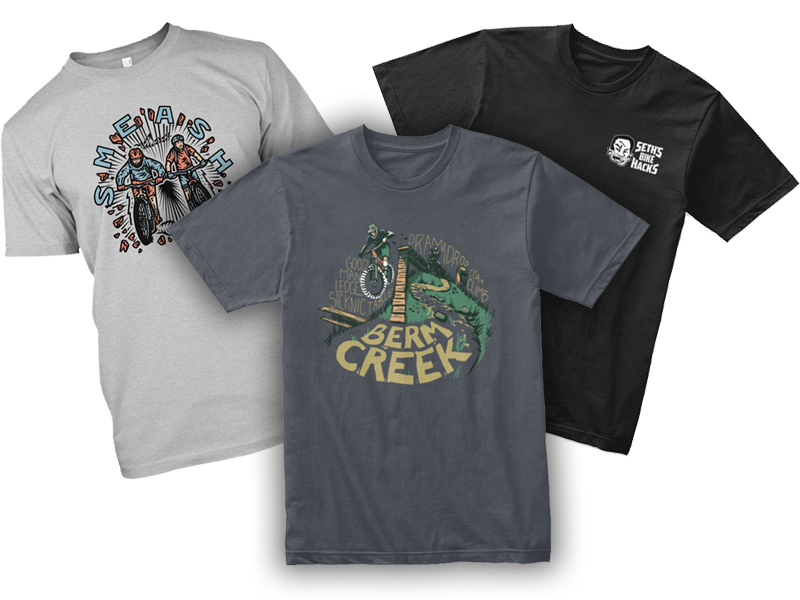 Fulfilled by Teespring.com, this collection of fun designs has materialized over the years. Shipping might be slow, but the shirts are great quality, and recognizable by fans everywhere.